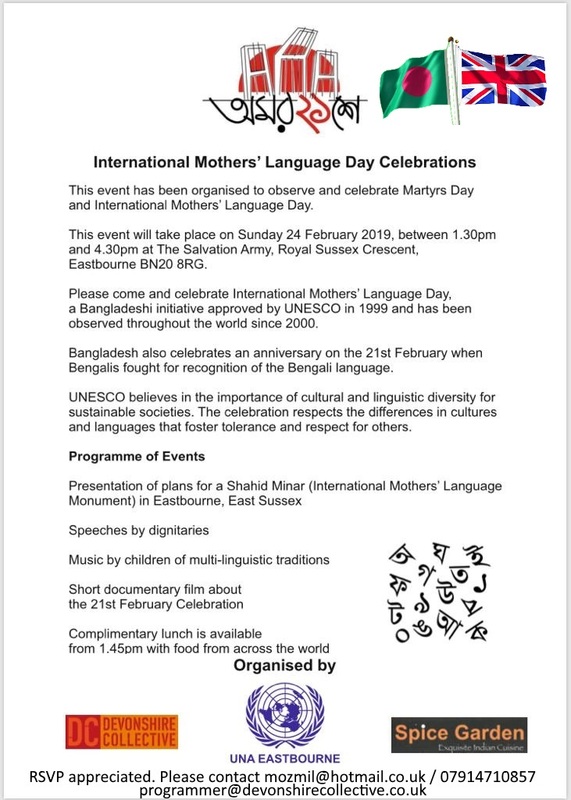 Come and celebrate International Mother Language Day at the initiative of Bangladesh and approved by the UNESCO in 1999 and has been observed throughout the world since 2000. In Bangladesh the 21st February is the anniversary of the day when Bengalis fought for recognition for the Bengali language. UNESCO believes in the importance of cultural and linguistic diversity for sustainable societies. The celebration respects the differences in cultures and languages that foster tolerance and respect for others. Presentation of plans for a Shahid Minar (International Mother Language Monument) in Eastbourne East Sussex. Music by children of multi-linguistic traditions , short documentary film about 21st February. Complimentary lunch is available from World cuisines. 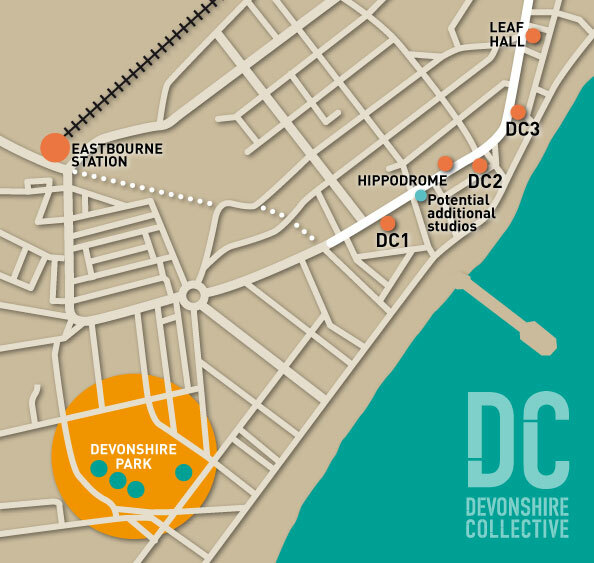 Organised by : UNA Eastbourne, The Spice Garden Eastbourne, Devonshire Collective.